When the hit game show "Who Wants to Be A Millionaire?" debuted in 1999, one of the most exciting (and happily unpredictable) parts of the contestant’s journey to fortune was the option of polling the audience if a question proved difficult. The show also utilized the conference call; contestants could also elect to “phone a friend,” or invoke their “lifeline” for the most challenging questions, which got tougher the further they made it. Interested in increasing accessibility to your next town hall meeting by live streaming it to the public? 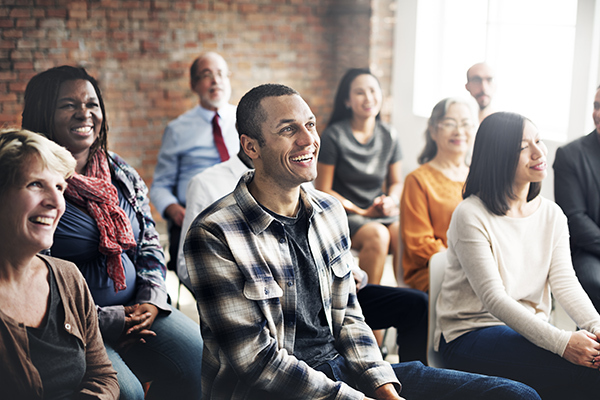 Outside of entertainment, polling can be a highly interactive way to engage your audience in an all-hands or town-hall meeting, and to capture valuable input and data for marketing and civic purposes. Engage the public in a transparent but controlled forum, collect attendance and registration, and enable polling through BlueJeans for events. BlueJeans Polling is a recently added feature to the popular BlueJeans for events live video streaming platform. Polling can also be a key strategy in keeping large town hall audiences engaged and responsive. BlueJeans for events has a vast number of applications for civic and company leaders. Need to give a city-wide address, and reach as many residents as possible? Do you have a sold out lecture, panel, or concert that could be also experienced online to accommodate all interested parties? BlueJeans for events allows for the seamless broadcast of town hall meetings, without compromising bandwidth or audience engagement. Want to take your visibility and reach even further? BlueJeans live video streaming for Facebook Live allows you to live stream your event to social media, and automatically notifies your followers with a pop-up window that is prioritized at the top of the home screen. All it takes is one click, and participants can attend and interact virtually from anywhere. Joining the BlueJeans community means you have access to personalized deployment. It’s all about “forging relationships” says BlueJeans North American Sales Manager for Government and Education, Elwin Leslie. He describes how new users launch their BlueJeans software with customer support: “During a launch call, there will be a training that’s set up to go over the features of BlueJeans. They will go through a slide presentation, show them exactly what’s going on, and then the client gets the relevant slides. That’s how they’ll have that information handy.” Online resources include step-by-step visuals for setting up an all-hands or town hall meeting with BlueJeans in the Support Section.